My Furbabies, originally uploaded by jumpnjoey16. Brita is the German Shorthaired pointer. 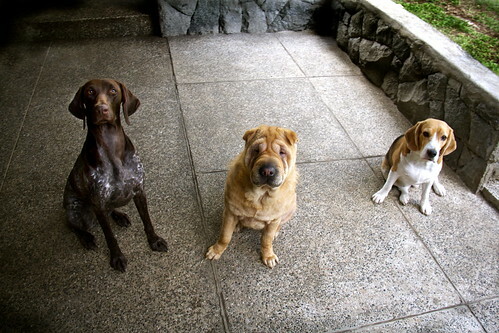 Char Siew is the Chinese Shar Pei. Midori is not Japanese - even if she has a Japanese name. She is a Beagle.